German Immersion Camp is a total immersion opportunity for advanced high school students of German. 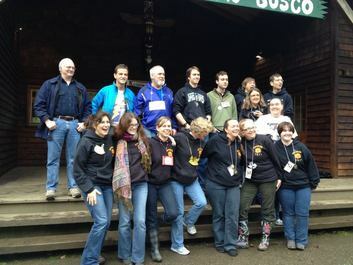 Students will play language games and sports, cook and bake, dance and sing, watch German movies, make arts and crafts, and enjoy the beautiful surroundings of Camp Don Bosco in Carnation, WA. Students that attend should be able to only speak German for the 36 hour long camp. They must commit to immersing themselves and their fellow camp friends!